The Ninja Gaiden series is one that everyone should try at least once, no matter which game they give a shot. However there has been one specific game in the Ninja Gaiden series which has been re-released by Tecmo Koei multiple times, with new additions, upgrades and polish for each system. Team Ninja first released Ninja Gaiden on the Xbox in 2004 however it has since seen a re-release as Ninja Gaiden Sigma on the PlayStation 3. You can’t keep a good ninja from infiltrating the handheld market however, and Team Ninja has released Ninja Gaiden Sigma Plus for the launch of the PlayStation Vita. Has the title seen enough improvements over the PlayStation 3 version to successfully penetrate your PlayStation Vita launch fund? 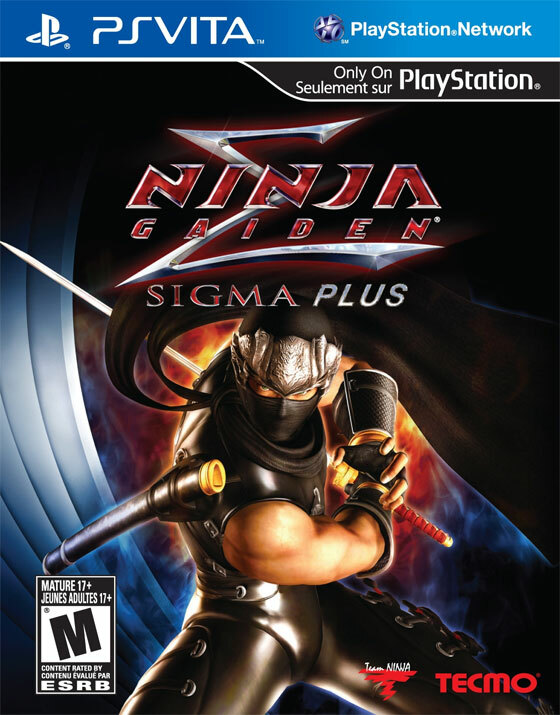 The story of Ninja Gaiden Sigma Plus is the tried and true version that is similar to each of the past releases, so those who are looking for some type of new addition to the series’ storyline will be disappointed in finding out that the storyline is very much the same as before. However that doesn’t necessarily make the story a bad by any means. We follow the journey of Ryu Hayabusa, whose story begins with him infiltrating his uncle’s castle in an effort to test out his ninja skills and have a sparring match against his powerful uncle. After defeating his uncle it is quickly it is quickly revealed that Ryu’s home town and entire clan is being slaughtered by mysterious invaders ready to kill everyone close to Ryu. As he arrives on the scene he sees that his entire clan has been annihilated and a mysterious dark samurai known as Doki has stolen the devastatingly powerful Dark Dragon Sword which has been kept locked away from the world by the Hayabusa Clan. After being brutally defeated by Doku in a one-sided battle, Ryu vows that he will defeat Doku, avenge his clan and recover the stolen sword and once again hide it away from the world. Although the story itself may sound a bit cliché it is still very enjoyable and one that will entice newcomers to keep going to see what will happen next as they follow Ryu on his path to defeat Doku and recover the sword. With more than a few plot twists and accompanying characters the story is interesting enough to keep driving you forward, even if the challenge may prove too difficult at times. As players make their way through the game they will be treated to various story related cutscenes which are absolutely stunning to watch as they easily match what we are usually treated to on console versions of the same game. The same is true for the amount of action occurring on the screen at any given time, for Ryu’s sword swinging and bloodletting has never looked better. There are plenty of fast paced combos used in Ninja Gaiden Sigma Plus and all of them flow together perfectly with superb character animation. The same is true for Rachel and enemies as well, with enemies ranging from simple enemy ninja and soldiers to giant demonic creatures, which means as Ryu and Rachel battle across many varied environments the action will always be provided with impressive quality. As you battle throughout these various areas you will be doing so to your standard music selection for an action game, which leaves a lot to be desired at times. Thankfully the game does have fully voiced cutscenes which provide a nice accompaniment to the beautiful visuals we are presented with during said cutscenes. At its very core Ninja Gaiden Sigma Plus plays exactly as one would expect an action game should play, with various light and heavy attacks, projectile weapons that can be switched around from exploding kunai, smokebombs, simple shuriken or even a bow and arrow, the ability to block, roll out of danger and even use powerful magic attacks known as Ninpo. 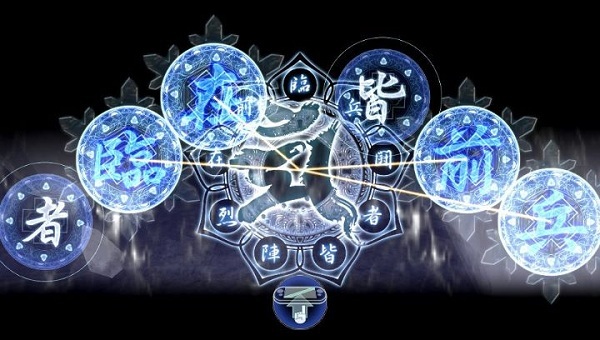 When players begin the game they will start with just a simple katana, however they will soon acquire a large variety of unique weaponry containing everything from nunchucks to a bo staff and even two scythes to name just a few. It only makes sense that Ryu Hayabusa is able to carry a small arsenal with him wherever he goes, because the opponents you will face off against are anything but easy. Ninja Gaiden has always been a series that has been known for being infuriatingly difficult, to the point where those who beating the original game on the Xbox was quite an accomplishment. However, although Ninja Gaiden Sigma Plus retains this high level of difficulty for those who choose to take it on, there is also a mode that widens the game’s playability window to those who are less skilled in action games. This is done through the inclusion of Hero Mode. Hero Mode can best be considered a very easy mode as it makes for a number of important changes that will keep your game going longer than you ever thought possible. While playing in Hero Mode, if Ryu’s health bar ever drops into a critical state the game will activate a Hero timer where Ryu will automatically block and dodge enemy attacks, even if he is in the middle of an attack himself. The player also can use as many Ninpo attacks as they want while in Hero mode, making it rather simple to defeat swarms of opponents. 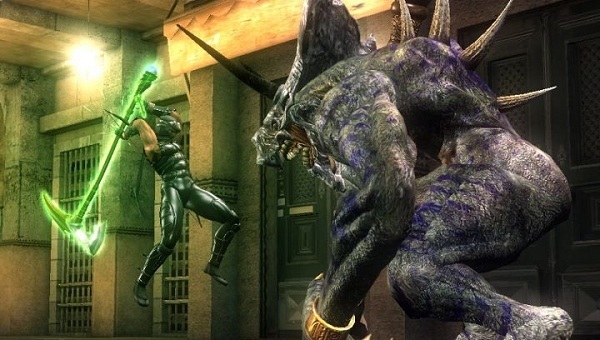 This mode is still challenging however as players will be seeing themselves enter Hero mode far too often for their own liking, and death can still follow if the player is unable to recover their health quickly to deactivate hero mode or the timer runs out and they are struck down by an enemy. One problem has returned to continue plaguing the series however, and that is the fact that the camera that follows the action is still problematic. Despite the Vita’s twin-sticks the camera is still extremely uncooperative in close spaces, which is unfortunate since a lot of action in Ninja Gaiden Sigma Plus happens in tight spaces, meaning that there will be plenty of occasions where you will find it difficult to see what is happening at any given time. 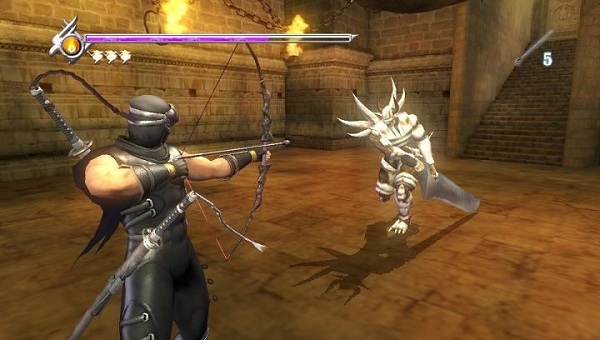 One of the main features of placing Ninja Gaiden Sigma Plus on the PlayStation Vita is that Team NINJA has been able to make use of the Vita’s touch and motion control systems and implement them into combat. Whenever the player chooses to use Ninpo, even in Hero Mode, the player must follow a set of instructions to cast the Ninpo which feature the use of the touch pads to cast said Ninpo and defeat your enemies. Another new feature included in the game is the ability to tap the front touch screen at any time to go into a first person viewing mode, where players can move their Vita around to take a look at their surroundings. This can also be done with the use of a Bow and arrows to aim at your enemies in first person and fire an arrow wherever you tap the screen. While this is great in theory, it is far too easy to enter first person mode when you don’t want to. All it takes is a very slight brush of the touch screen and the game will enter first person mode which can be devastating if done in the middle of a difficult battle. This is likely something that most players will learn to avoid, but it is still extremely distracting and problematic. Besides that the Mission mode of past games has been renamed to Ninja Trials and has also seen an increase in challenge amount from 56 to 76 total challenges. All of these challenges provide a nice distraction from the main game and offer plenty of playtime after you’ve completed the main storyline. 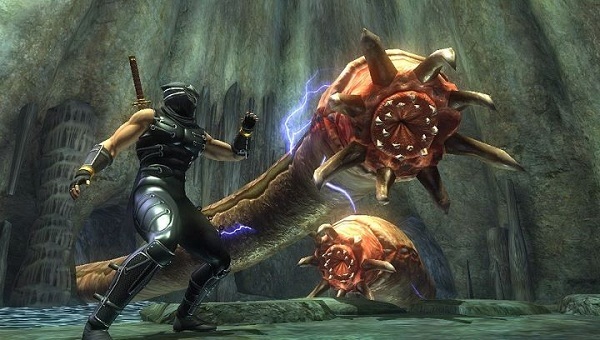 Despite the fact that most of us have played Ninja Gaiden in one way or another, Ninja Gaiden Sigma Plus still returns to impress with a number of new additions, most of which is the fact that the title is now completely portable. With enjoyable and brutal action that will still provide a crushing level of difficulty if you so choose, players will find it hard to avoid following Ryu Hayabusa once again on his journey for revenge as they select their Vita launch line-up.